Everyone knows the lore of the four traditional “necessities” for a lucky wedding: something borrowed, something blue, something old, and something new. Well, if you want something really new at your wedding, think about expanding your technological horizons. Have a remote-controlled drone take aerial photos of your reception, or custom design your engagement ring via the web. There are numerous options out there for having tech savvy wedding, read more below to discover how to be a Bride Bot. Step 3: Your Ring is cast, polished, and finalized. The process is so simple, and yet the outcome is undeniably significant. It will leave you with a unique ring, unlike any other. Getting an invite to a wedding in the mail is tradition, but in the digital age, there’s no reason to share the details of your wedding on only pen and paper! 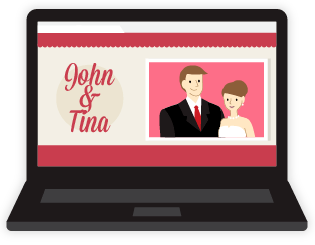 A huge trend today is for couples to create a wedding website. These websites are essentially an interactive wedding invitation! They help prepare your guests for the big day by providing key details about your wedding. Over half of all weddings today use a hashtag, and for good reason! 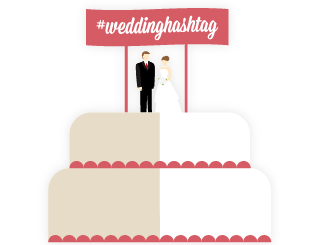 Creating a hashtag is a great way to help organize your wedding — not to mention, it’s free! By using your unique hashtag every time you post on social media, you can easily track your posts, share information with your friends, and see who else is talking about your wedding. This can be done before and after the wedding, but one of the best parts is during. 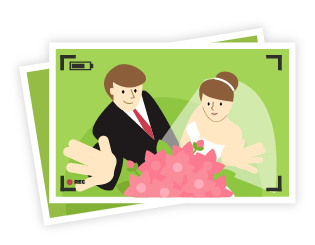 You and all your guests to easily share and view wedding photos posted on social media sites that you can easily find and save for later! Search Your Hashtag to Make Sure Nobody Has It – Go to Instagram and search your tag. If photos show up for it, it probably isn’t specific enough. If you see “No Results Found” then your hashtag is not being used by anybody else, which is perfect. The goal is to have a hashtag that nobody else uses, so that when you look up you hashtag, only your wedding’s photos are found. Instead of stressing over a wedding favor that might not get used, give a digital download that the guests can choose for themselves. Pick a store that means something to you and your partner and send guests home with a gift card or download code. 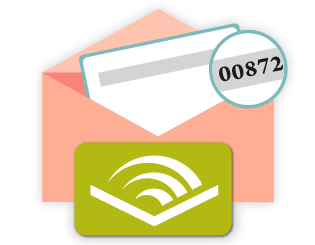 Picking a special book from Audible or Kindle, for example, could be a fantastic and meaningful party favor. 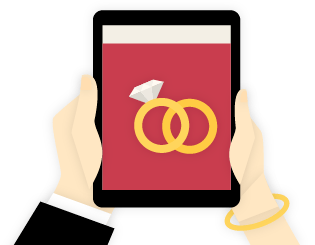 Wedding planning apps brag a shocking popularity rate, with 89% of couples using them for organizing their nuptials. Pinterest is one of the most popular wedding planning apps; it truly is a metropolis for inspiring ideas. 70% of brides pin about their weddings before they are even engaged, so obviously the app is doing something right. Part of the appeal of Pinterest is it allows you to sift through photos of dresses, bouquets, table settings, rings, invitations, and bridal shower accessories in a leisurely and entertaining way. Then you can create an idea board by pinning all the items that you would like to see at your wedding, or that impress you in some way on your Pinterest. Another successful wedding app called Wedding Dress Studio allows you to design and even try on dresses inside a virtual dressing room. Choose from over 300 gown designs, upload a picture of yourself and with their “fabric-remapping technology” you can view how the dress will fit on your body without ever having to go to the store. It’s easy to underestimate the wedding video, but videography spending at weddings is on the rise with the average couple spending $1,700 on their video. 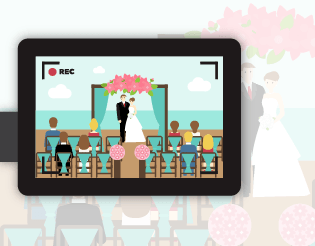 A truly great wedding video will be a prized possession to you in the future. The latest technological trend in wedding videos is capturing aerial shots of the reception using a camera drone. This is especially pertinent for outdoor weddings with striking terrain, such as a coast or a mountain range. Noise – Because drones are essentially mini helicopters, they are also loud like helicopters. It’s similar to the sound of a swarm of bees buzzing nearby. Legality – You can get in trouble with the FAA if you fly higher than 400 feet or within three miles of an airport. Just something to keep in mind. Some people may not be able to make it to your wedding. Your grandmother broke her hip? Your cousin is studying abroad in South Africa? It’s disheartening that they won’t be able to be with you on your big day in the physical sense, but that doesn’t mean they have to miss out on all the fun. If you LiveStream your wedding, Grandma and your cousin can watch the whole event and get a feel for the experience from wherever they are in the world. Today, technology knows no bounds, so why not use it as a tool for planning the most important day of your life? 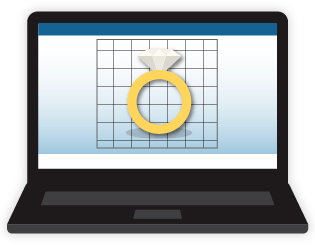 Because of technology, many facets involved in wedding planning have become much easier than they used to be. So take advantage of it. Be a Bride Bot!